The Boeing 737 Next Generation is the name associated to the series of the Boeing 737 which are the -600/-700/-800/-900. They were introduced after the introduction of the -300/-400/-500 Classic series. They are considered short to medium range, single aisle, narrow body jet airliners. The production started on 1996 and as of February of this year, there were over 2,800 deliveries. 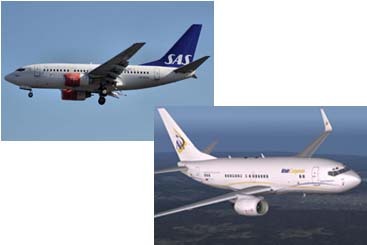 The production 737-600 was intended to replace the 737-500. Its counterpart from Airbus is the A318. It was launched by Scandinavian Airlines System in the year 1995. The initial aircraft was delivered on September of 1998 and as of December of 2007, a sum of sixty nine 737-600 aircraft have been delivered.